East Richmond Nurseries Inc. - ERNI - we are a full service nursery offering top quality plants to the commercial landscape trade, garden centers and wholesale nurseries. We offer delivery service to Vancouver and the surrounding area including the lower area of Vancouver Island with our own specialty truck. Delivery charges are at cost and wherever possible we combine loads to save you money. Our loading dock can handle 53 foot dry vans and flat decks with easy access from Westminster Highway. 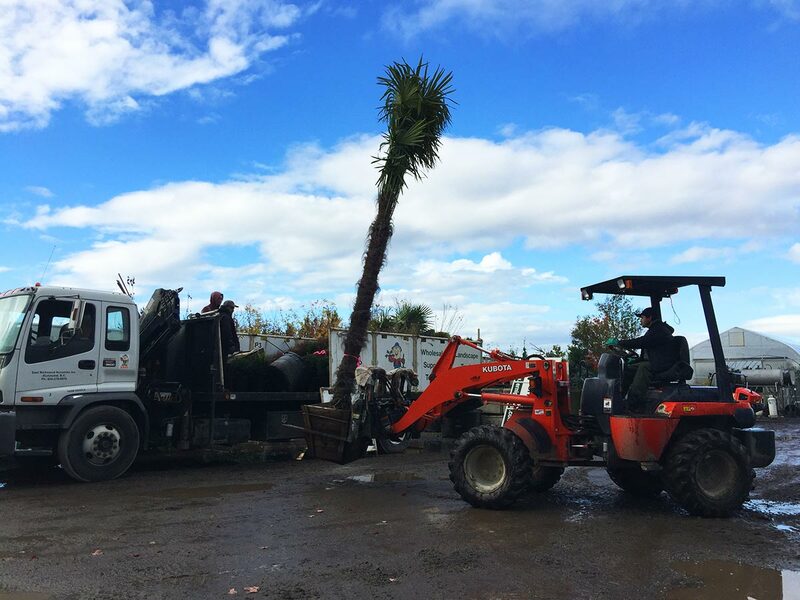 We now offer a Hiab Crane on our delivery truck to get those special trees from the deck safely to ground level.